Bright and colourful are two words that I carry with me year round since I'm in the part of the world where every day can be sunny. 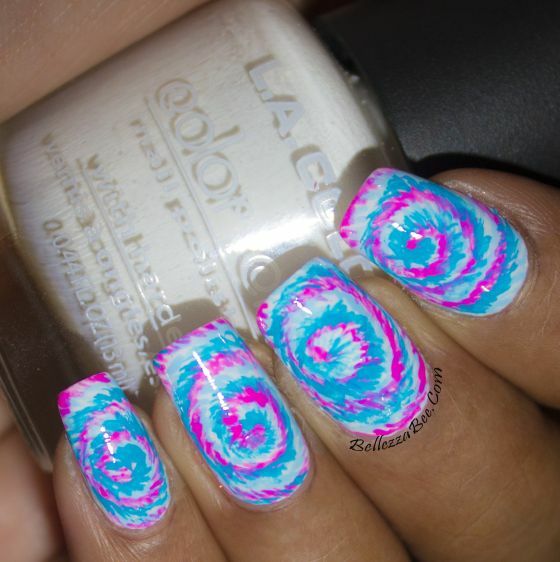 The art of tie dye for clothing is quite popular here but this is my spin on what else but nail art. It is quite simple to do, so follow along my pictorial to try this out for yourself. 1. Paint your nails two coats of L.A Colors Color craze in Energy Source. 2. Using a small brush like the Winstonia #00 and a light blue acrylic paint like Apple Barrel Regency Blue, apply soft strokes in a circular manner creating a spiral. 3. 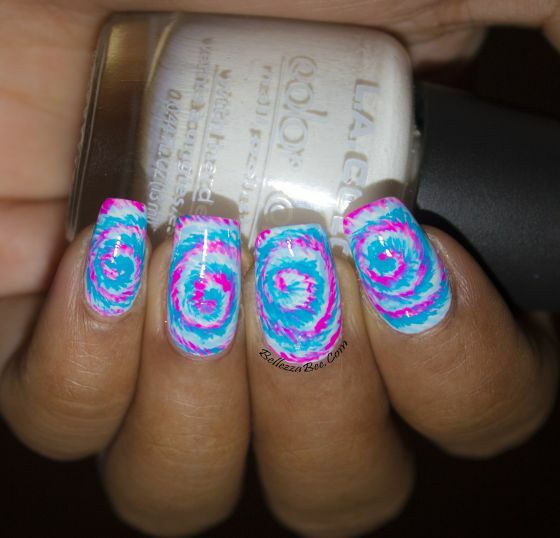 Repeat with a hot pink like Apple Barrel Diva Pink but create another spiral path next to the light blue one. 4. Add another spiral with brushstrokes from Apple Barrel Turquoise acrylic paint. In the land of sunshine, despite the few days when we have lots of rainfall, I can be grateful that I don't have to ensure harsh winters. I thank God today for the warm sunshine that causes our island to burst with greenery and all forms of wonderful life.